Have you been injured due to a slip, trip or fall? Slips, trips and falls are all too common, and can happen to you anywhere, at any time. They can sometimes be embarrassing, but in the worst cases they can cause you serious injuries, with symptoms which could affect you for years after the accident. While in public places, such as supermarkets and bars, or while walking on pavements and footpaths, you have the right to feel safe. If you’ve suffered a slip, trip or fall because health and safety laws haven’t been followed, we know this can be very difficult to accept. It’s likely your injury has caused you to have to take time off work or pay medical expenses – on top of everything else – you might be under financial pressure. We’re here to help you start a claim, so you can get the money you need to support you during your recovery and into the future. You can get in touch with our team on 0800 234 6438, or fill in one of the secure contact forms on this page. Under the Highways Act 1980, your local council is responsible for making sure any pavements or pathways are well maintained and safe for use. They should do the same for roads, parks and other areas which are open to the public. If you’ve suffered from a slip, trip or fall because of the poor condition of a pavement, you could make a compensation claim against the council to cover the costs of your injury. Most people visit businesses such as shops, restaurants, bars and supermarkets every day. The people responsible for maintaining those spaces are also responsible for taking measures to make sure you and other customers are safe. Business owners and managers should make sure any spillages are cleared away as quickly as possible, and that wet floors are signposted in the meantime. They should also keep walkways or aisles clear of obstacles and trip hazards to avoid accidents from happening. DID YOU KNOW: Any freshly cleaned floor should have a ‘wet floor’ warning sign on display. Employers have a duty to make sure your work area is kept tidy and clear of obstacles, so that you can feel safe at work. Equally, they should provide training and guidelines to all staff to make sure other members of staff are making the workplace as safe as possible. Slips, trips or falls are the most common cause of injury at work according to Health & Safety Executive statistics. Accidents can happen, especially in high risk industries like construction or agriculture, but your employer still has a legal duty to do all they can to avoid accidents from happening. This includes taking measures to avoid slips, trips and falls, carrying out regular risk assessments and ensuring you have the right safety equipment to do your job. Slips, trips and falls can happen anywhere, but are especially likely in factories, where packaging or other objects might be left on the floor. Video providing key information on claiming for an injury caused by a slip, trip or fall, and how many of these claims are settled under a fast-track scheme. While slipping or tripping may seem like a minor accident, we’ve seen how much of an impact the resulting injuries can have on your life, as well as the lives of those around you. In some cases, the effect on your health and mobility can even be permanent. While claiming compensation can’t take away what happened to you, it can help you to be more comfortable financially. Any interim payments you may need to cover living expenses while you wait for your final compensation package. Any injury can be upsetting; and it feels so much worse when someone else is at fault. Your solicitor will also take into consideration any emotional impact that your injury may have had while they work to settle your claim, too. If you’re thinking of making a compensation claim, or want to know if you do have a claim, get in contact. You can talk to our advisors for free, friendly advice on 0800 234 6438 or by filling in our quick claim form. Our specialist solicitors will also help you gather the all evidence together needed to bring your claim – such as medical reports and witness statements – and either negotiate a settlement with those responsible if liability is accepted or help you bring your case to court. We may able to bring your case on a no win no fee basis. This means you won’t have to pay your solicitor any money if your claim isn’t successful. The benefit of no win no fee is that there’s no financial risk involved – if you don’t’ receive any compensation you won’t have to pay out of your own pocket. If your claim is successful, your solicitor will charge a ‘success fee’ out of your compensation. This amount will have been agreed before starting your case, but you can be sure this will be a relatively small portion of the money you receive. 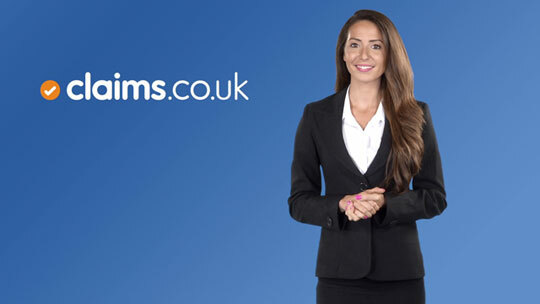 If you have any questions, or are interested in starting a claim and want to find out whether you might have a case, you can speak to us for free on 0800 234 6438. You’ll usually need to start a personal within three years of your injury, otherwise you might be ‘time-barred’ under the Limitation Act 1980. If this happens then the court might refuse to hear your case. If you’re claiming on behalf of your child, they have until 21 years old to make a claim; and if you’re claiming on behalf of someone under a mental disability, the three-year period does not start until they’ve regained their mental capacity. If your slip, trip or fall has caused relatively minor injuries, it’s more likely to be settled quickly. In fact, it’ll usually take no more than a few months to complete if the other party admits responsibility for causing your injury straight away. However, it’s not uncommon for the other side to deny responsibility (liability) at first, and this can mean your case takes longer, as your solicitor will have to work with experts to prove that your accident was their fault. If you’ve suffered from a serious injury, then this might also cause your case to take longer to complete. This is because your solicitor will want to wait until you know the effect your injury might have on your life in the future, so you can receive all the compensation you deserve to cover this. Many slip, trip or fall claims are made using a special procedure called the Pre-Action Protocol for Personal Injury Claims. This sets certain standards which the parties to a personal injury claim are expected to follow. It outlines the steps you need to take to bring your claim and the time limits involved for each part of the process. The first step your solicitor will take is to send a letter of claim to the other party – this summarises the facts of your injury, the financial costs it’s caused you, and the damages you’re seeking. They’ll then usually have 21 days to acknowledge the letter and then three months to send a full response. In their response, they’ll usually give their side of the story, name their insurer (if any), and say whether they accept of deny liability. If they accept responsibility, your solicitor will send any medical reports about your injury to the other party (with your permission). You can’t start any court proceedings for 21 days from that point – this allows time for your solicitor and the other side to consider settlement.